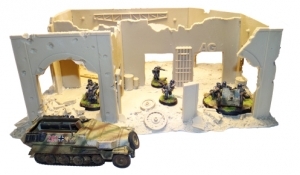 Novus Design Studio helps you WWII-era players with some new terrain kits specifically designed for your era. 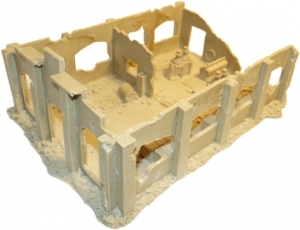 We are excited to announce the release of 9 new 28mm WW2 building and terrain models for use in table top wargaming. Our new series features a Munitions factory ruin, Fabrication plant ruin, concrete observation bunker w/lift off roof, stucco outbuilding w/lift off roof, artillery field works, supply depot and rough cut wall series-3 different packs with 6 different wall configurations to choose from. Ideal for use with Bolt Action! Models are available for purchase from our website. Wholesale inquiries welcome.